2T - $39.99 3T/4T - $39.99 Size 4/6 - $39.99 Size 7/8 - $39.99 Only 6 left! Is your little girl trying to learn exactly what it means to be a princess? After all, when one of your parents marries the ruler of the kingdom of Enchancia and you suddenly turn from a peasant commoner to a royal, there’s a bit of a learning curve! Adjusting to a new role in the royal family isn’t always easy, and there’s always a new adventure around the corner to keep you on your toes. If you’re lucky, you have both the help of the three fairies from another Disney tale to be your teachers, and a magical amulet - graciously given to you by your new royal stepparent— to give you the power to talk to animals and summon other princesses in times of need. It also doesn’t hurt if you seem to know just how to break out in to a musical number at just the right moment! 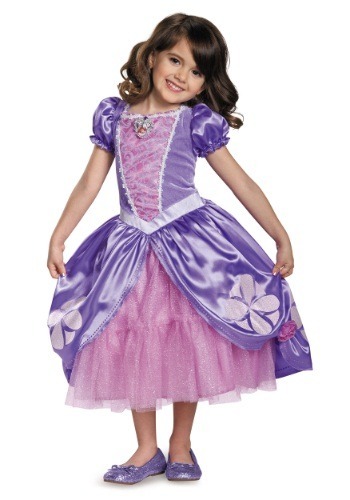 But one thing that is definitely a prerequisite to all of this royal training is a perfect, princess-y wardrobe…and that’s where this Deluxe Sofia the First Next Chapter Dress comes in! 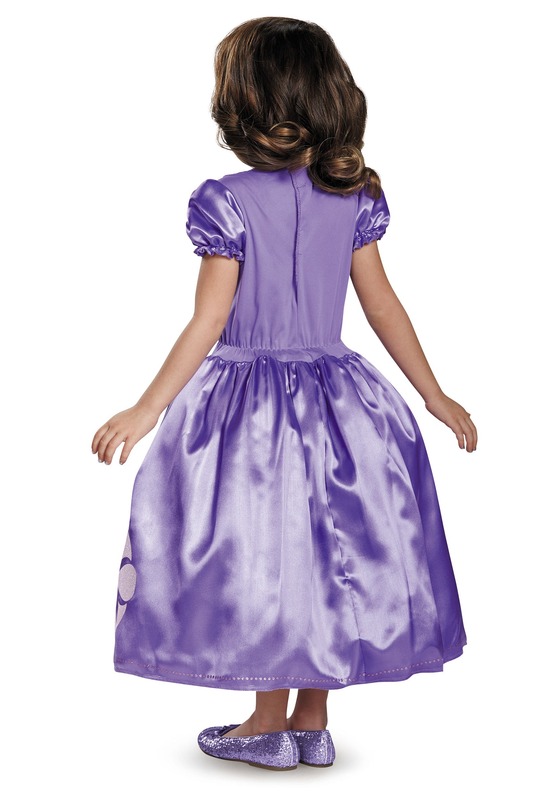 The perfect start for your soon-to-be princess, not only is the design of the dress as puffy as it is elegant, it’s also in the most royal of all shades - purple! (Fun fact: For many centuries, only the close members of the royal family were permitted to wear purple!) Top it off this regal look with a sweet sparkling tiara and some cute shoes, and your mini-majesty will be ready to royally rule! The dress is nice, good quality, BUT the torso is a bit too long and the main problem is, the pink part is covered with glitter that just comes off. My house is full of glitter, everywhere. A real mess.